On July 3, 1976, the Smith-Harris House was dedicated as a town museum in East Lyme, CT. The Greek Revival style farmhouse is believed to have been built in 1845 for Thomas Avery and his bride, Elizabeth Brace Griswold. In 2018, members of the Commission and the Friends of the Smith-Harris House, requested and received approval by the Town Selectmen to change the name of the Commission and ultimately the house to Brookside Farm Museum, which better aligned with a recent strategic plan and renewed vision. While it is on the National Register of Historic Houses as the Thomas Avery House, the Avery family eventually sold the property to William H. H. Smith, a distant cousin, who in turn, sold it to his brother Herman Smith and nephew Frank Harris in 1921. These gentlemen, married to sisters Lula and Florence Munger, ran a dairy farm on the property for many years known as Brookside Farm. In the 1950s, the Town of East Lyme bought the home and 103 acres from Smith and Harris, giving the two couples lifetime rights. In 1974, after the house had been boarded up for several years, and at the urging of concerned citizens, a successful restoration process was begun. Today, Brookside Farm Museum offers an historical and educational view of agricultural and domestic life from 1845-1955. 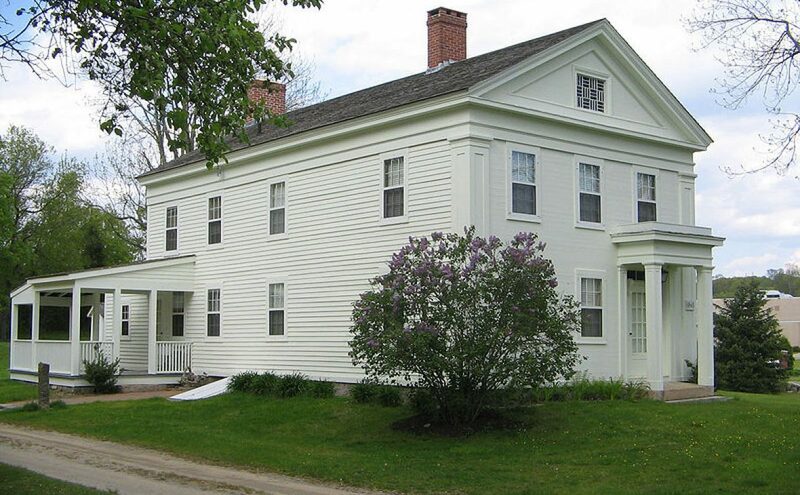 Managed by the Brookside Farm Museum Commission and the Friends of Brookside Farm Museum, a variety of events are offered throughout the year that convey the family stories of the people who resided in the house and worked the farm. Rotating exhibits are also displayed to demonstrate agricultural history in Southeastern Connecticut during this time period. Tours of the home are available July and August. Friday-Sunday 12-4 p.m. and throughout the year by appointment.